In summer, I'm often at Lake Como because it's my favorite lake in Italy. The view is breathtaking, there are beautiful, charming towns to explore and you can swim, surf, hike and mountain bike. I know the area very well and I’m always on the look out for new places. The last time I was there I heard that a new B&B was opened at the North tip of the lake with cozy rooms and beautiful views. I was curious to see the place for myself, so I quickly contacted the owner to make an appointment. 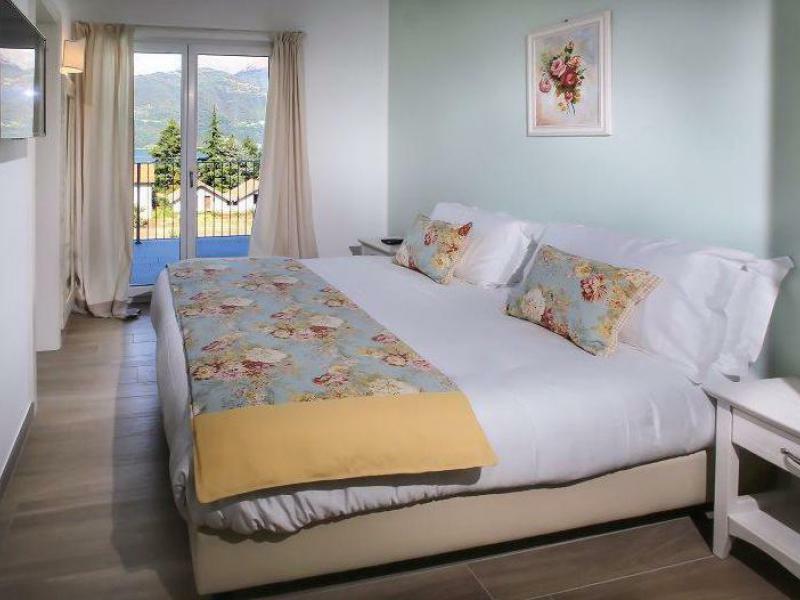 The B&B has beautiful views of Lake Como and the surrounding mountains. 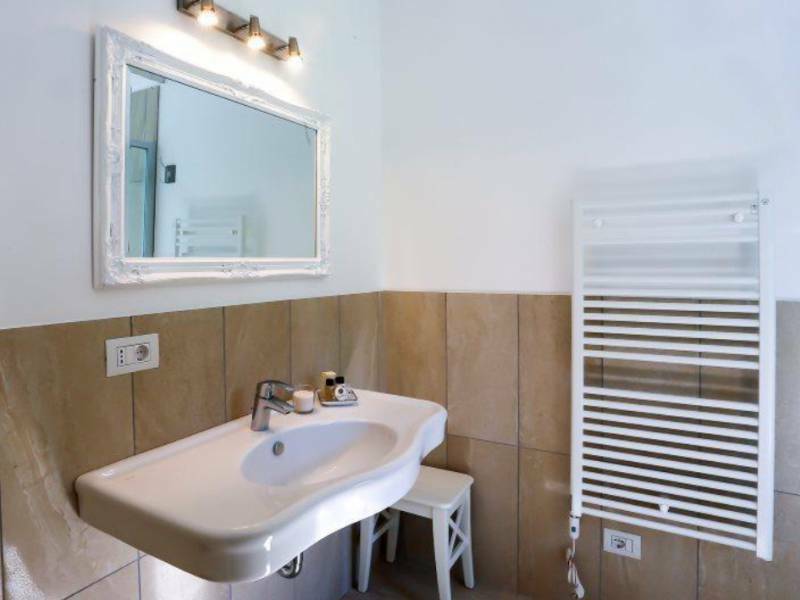 It’s in a quiet location close to a charming lakeside town. This village is 20 minutes by foot and has a beautiful boulevard at the harbor, a lovely place to walk! From the harbor you can take a tour by boat to various towns on Lake Como, such as Bellagio, Como and Varenna. On the boulevard there are several nice shops, restaurants, terraces and bars. For the little ones there is a large playground in the village with all kinds of play equipment. Not far from the B&B (about 750 meters) is a pebble beach with a pizzeria and terrace by the water. There are also a kite surf school, a sailing school and tennis courts. At 100 meters by foot from the B&B is a restaurant with local cuisine and wines from Valtellina. Be sure to try the Pizzoccheri pasta, Sciatt (fried cheese balls) and Bresaola (dried beef)! In summer you can eat a few times a week at the B&B, upon request and given sufficient interest.There is a breakfast buffet with home-made cakes and biscuits, local yogurt and a selection of cured meats and cheeses. In addition, they are happy to prepare an egg to your wishes (cooked, fried, scrambled) and fresh fruit juices from seasonal fruit. You can choose from a large selection of English tea and from 9 kinds of coffee! Directly in front of the house, there is a huge lawn with a large pool of about 14x6 meters. In spring and autumn the swimming pool is heated a few degrees. Around the pool are sun loungers and parasols. The garden is fully fenced, but the swimming pool is not. There is an electronic gate, a private parking place and the owner lives nearby in the village. 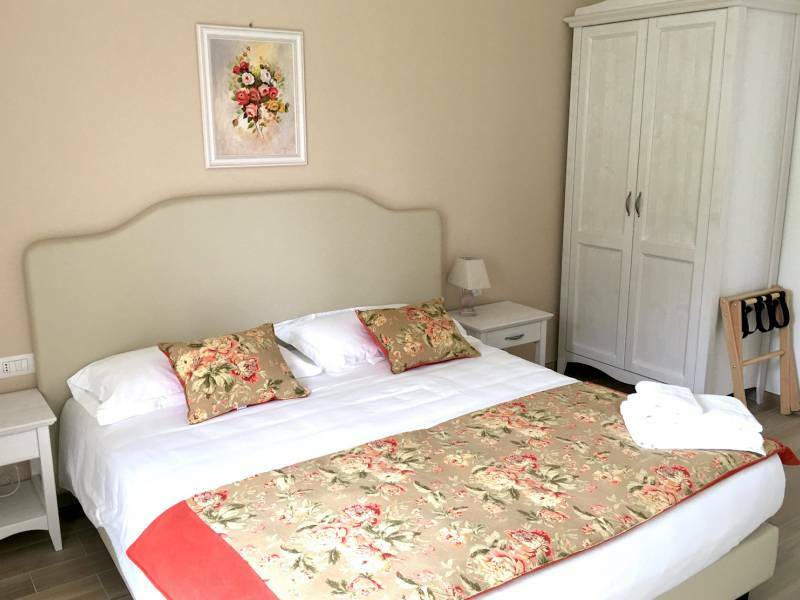 The B&B has a total of 5 rooms, 1 on the ground floor and 4 on the first floor. The room on the ground floor has direct access to the garden with a table and 2 chairs. Ideal for dog owners who want to take their dog along on vacation. 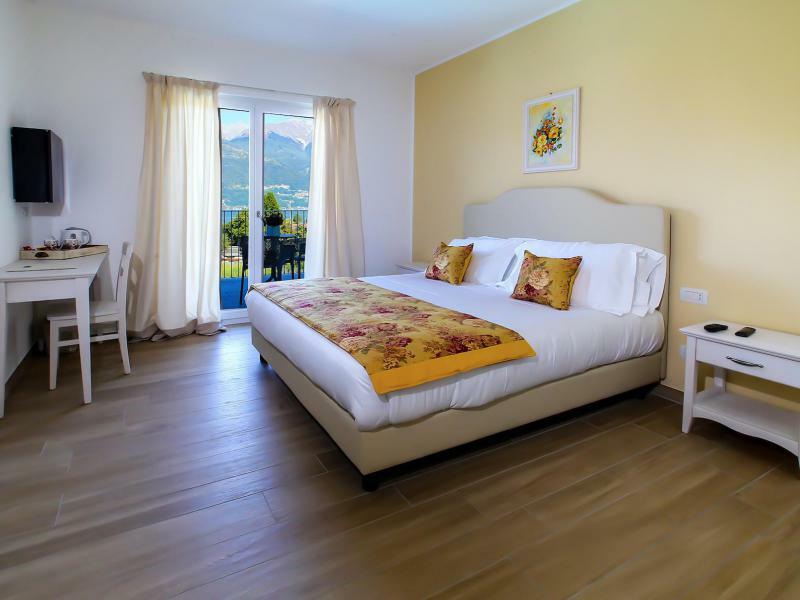 The rooms on the first floor have a private terrace with table and 2 chairs and views of Lake Como and the mountains. All rooms have Sky TV, air conditioning, safe, minibar and a good hair dryer. Through a connecting door a double room and a triple room can be connected. Perfect for a family. 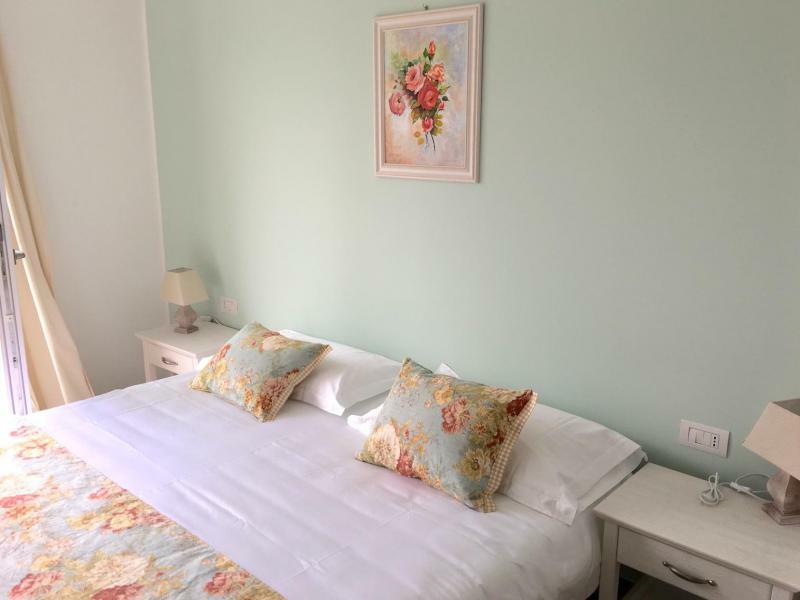 It is also possible to rent the entire B&B, so you will have exclusive use of the gardens, pool, living room and breakfast room (but there is no kitchen). 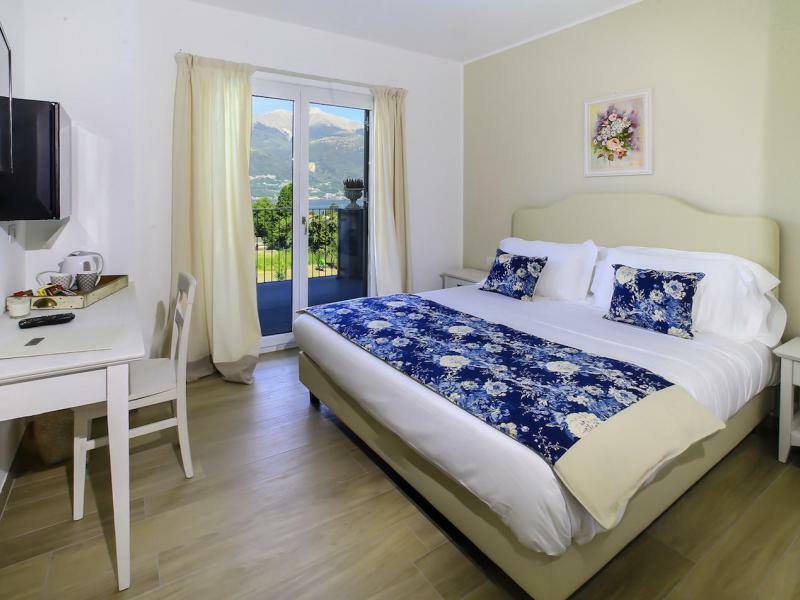 A luxury B&B with cozy rooms and breathtaking views of the mountains and Lake Como. 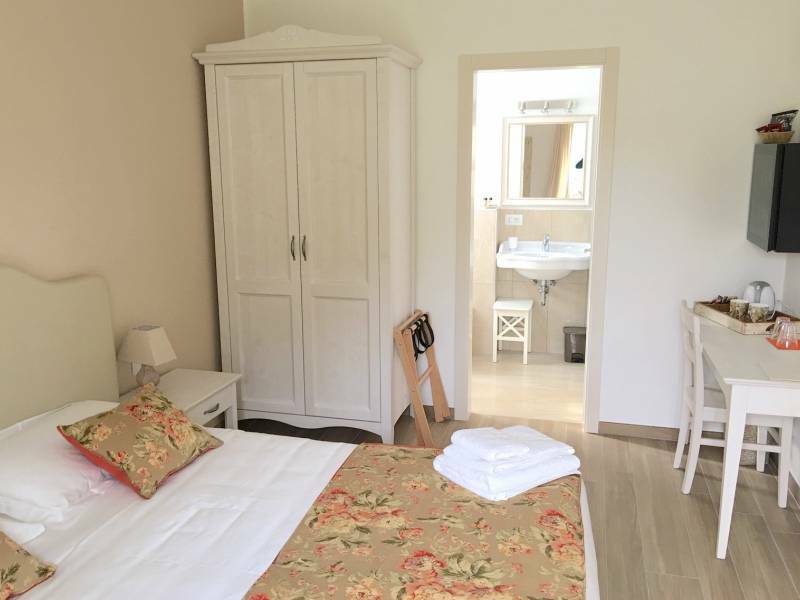 Quietly located within walking distance of a nice tourist village and the lake. Ground floor room with direct access to a private piece of garden with table and 2 chairs. 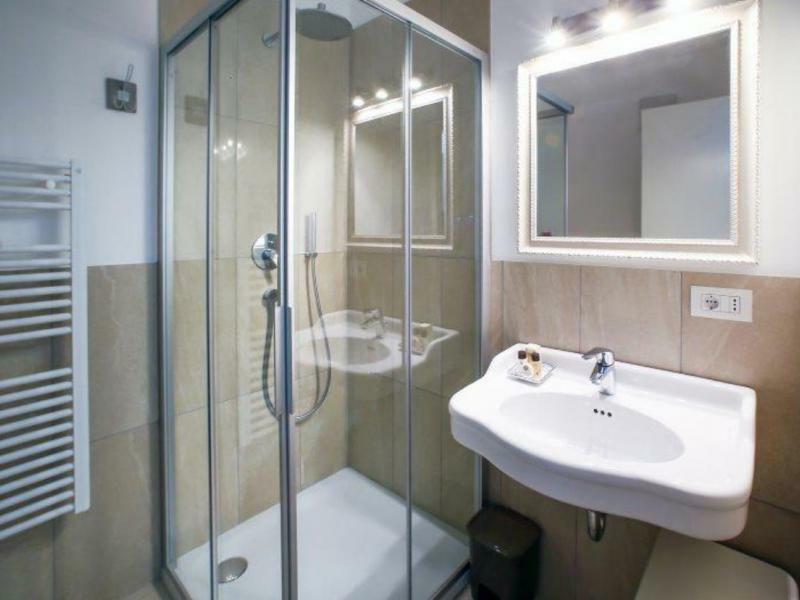 The room features air conditioning, Sky TV, safety deposit box, minibar, kettle and professional hair dryer and has a bathroom with rain shower. 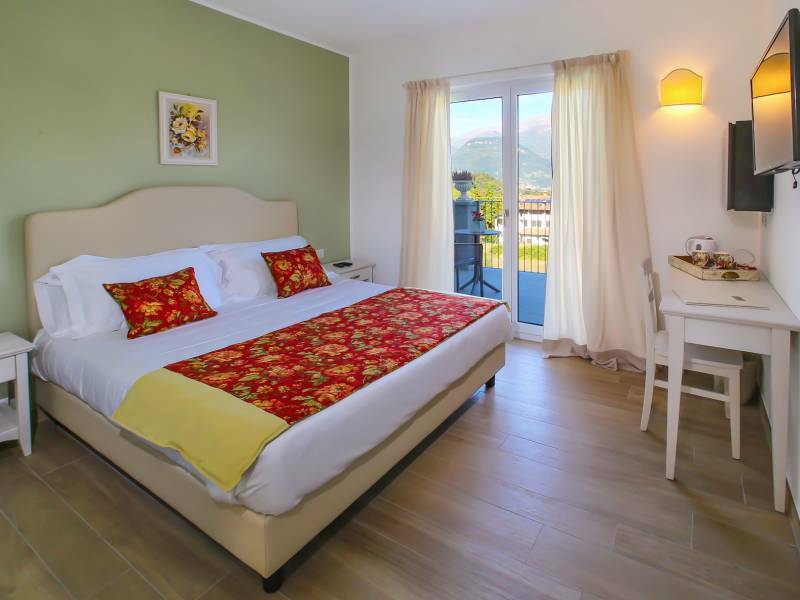 First floor room with a private terrace with table and 2 chairs and overlooking Lake Como and the mountains. Possibility to add an extra bed. Through a connecting door in the hallway, rooms 4 & 5 are connected to each other. In room 5 an extra bed can be added. This creates a spacious family room for up to 5 people, with 2 bathrooms. The rooms are on the first floor and have a private terrace with table and chairs and views of Lake Como and the mountains. The rooms are equipped with air conditioning, Sky TV, safe, minibar and professional hairdryer and bathroom with rain shower. Prices are per room per night, including breakfast, wifi and air conditioning. Minimum 2 nights in low season. Minimum 4 nights in high season.